Room bookings can be made via our website at www.AllStarOhioHousePutinbay.com, booking directly by contacting our Corporate Sales Office at 888-PIB-STAY or in person at any of our hotels. 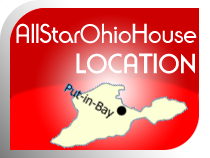 AllStarOhioHousePutinbay.com accepts cash payment, debit and major credit cards. Full payment for your accommodation cost must be settled upon register at the reception (check�in). In the event that you need to cancel your room booking, the total payment made is forfeited. AllStarOhioHousePutinbay.com does NOT provide any refunds. Amendments to bookings MUST be made at least 15 days before the scheduled check-in date. For amendments of bookings within 14 days of the scheduled check in date, the total payment made is deemed forfeited. In the event of amendments of bookings at least 15 days before the check-in date; a credit equivalent to the value of the booking minus the one night cancellation fee will be deposited into the guest's account for the new dates. The amount in credit is not transferable to other accounts and is not exchangeable for cash. Remember that changes related to amendments, subject to room availability and rate of the day. The new dates you want to book may now be more or less expensive than the original booking. For wholesaler and travel agents: our cancellation and amendment policy is clearly stated in the contract agreement and on our reservation page. Room rates are gross and NOT inclusive of government taxes, based on room only per room and per night for maximum of 2 people. The room rate may vary per night, at the same location, based on demand and availability. Room rate will not be altered once the room booking is confirmed by us, unless the room booking is amended. Rooms are cleaned and made up daily. However, we will change your linen every 3 (three) consecutive nights in conjunction with the implementation of eco green program. You may contact our front desk for daily towel and linen change. No add ons. Room rate includes high quality Sheets and Bedding, Towels and Toiletries. Split system air-conditioning, 60" LCD TV with many Channels in the living room, and Free Wi-Fi. Your accommodation at the AllStarOhioHousePutinbay.com will be available from 4:00 PM on the day of your arrival. Your room booking will be held until 6:00 PM unless notified of your flight details and or check in time. Check out time is no later than 12:00 PM unless otherwise agreed. Early check in and late check-out is not allowed. In the event of any damages or unpaid miscellaneous charges that the guest (you) have incurred during your stay; AllStarOhioHousePutinbay.com has the right to debit your credit or debit account for these charges. 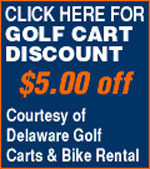 In such an event, AllStarOhioHousePutinbay.com reserves the right to do so without prior notification. All bookings are accepted by us in good faith. Should we be unable to provide you with a room you have booked, we will find alternative accommodation nearby which is of similar standard at no extra charge.